Are you looking for the best Mediterranean Restaurant in Raleigh? If so, stop by Neomonde Mediterranean Cafe on Beryl Rd. in Raleigh. We have a wide selection of traditional & contemporary Lebanese dishes. We use fresh, local and organic ingredients, so you can be sure your meal is always going to be healthy and delicious. For those with special dietary needs, we also have a large selection of vegan, vegetarian and gluten-free dishes, all at affordable prices. We believe that healthy, honest food has soul, so it not only tastes good and is good for you, but it makes you feel good too! 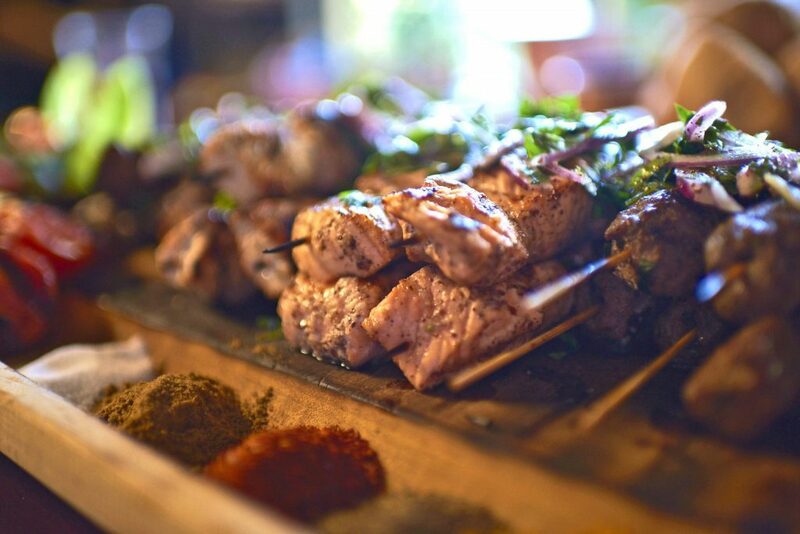 Come find out why we are one of the top-rated Mediterranean restaurants in the Raleigh area! 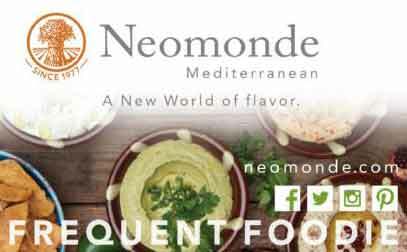 See What Neomonde Mediterranean Customers Have To Say! I love this place. The people are warm and friendly, like they've been waiting for you all day. They make an effective team. Great food selection; great for vegetarians too. Lots of flavor and fresh taste. And they have a lovely outdoor seating.area. This place is a Raleigh institution. Some of the best middle eastern food I've had. It's casual and often busy with lines. But they are fast and friendly. Most importantly, the food is fresh and delicious. The cilantro- jalapeno hummus is the best. Not to mention the stuffed grape leaves and tabbouleh. They have a huge selection-all of it delectable. Yum. Love this place! Great food and a quick line to get through. I've gone for lunch and after work for dinner/drinks. It's a popular place so sometimes there is a long line but don't let that discourage you because it goes quickly. Lots of seating options and you can even shop to take some stuff home. Choosing Neomonde to cater my wedding was the best decision, and I would recommend them to anyone looking for a professional staff with fresh and quality food!! Laura, the catering manager was extremely responsive, worked with our budget, gave very valuable and knowledgeable insight that we would not be able to find with any other caterer! The display was beautiful enough for a magazine spread, and my wedding guests raved about the amazing food. Hands down, Neomonde Mediterranean is the best company to go with for any catering event in the triangle area!!! I really enjoyed the atmosphere! I sat there for a few hours with my friend. We talked and enjoyed the food. Very affordable! The staff was nice and laid back. The place appeared clean and the food was good. This place is a hidden gem! They serve fresh, healthy Mediterranean and Middle Eastern foods, and there is a small market shop inside, too. I love their falafel, it's do light and crispy, hands down, the best in the whole Raleigh area. The item I'd most recommend is their desserts....freshly made, different, tasty and quite a variety. Neomonde is one of my favorite spots in Raleigh. It is one of those places you just have to know about or otherwise you probably wouldn't find it.I tend to get the chicken kebap with the 2 sides. You can't go wrong with any of the sides to be honest. Don't forget to add some pita bread and hummus to your order.After you are done, it is worth checking out the attached store. They have lots of great bread and other little goodies. A good selection of hot and cold middle eastern food and desserts served in cafeteria style with plenty of indoor and protected outdoor seating. There is also a small grocery store with fresh pita baked on the premises reflecting their original bakery roots. Great food and excellent desserts. Honestly, the Coconut Mousse stole the show! Phenomenal flavor! Well done. I will be back... especially for dessert and pastries! You have got to check it out. Usually super busy at lunch during the week. Good is always great. Best pistachio baklava I've ever had. Great wood fired free pita. I've enjoyed this place since college. Over the decades it has only gotten better. I love that the quality remains superior even as they've gotten tremendously busier. (Their babaganoush, for example, still roasted. No fake "smoke-in-a-bottle" like others do.) I also love that they make some effort to accommodate folks who do not eat wheat. Five stars! A great place to stop for lunch! It does get busy but it's not to hard to find a table once inside. The 1st trip can be kinda overwhelming I would recommend at least going twice as there is a lot to choose from. There's also a little store inside were you can buy extra items. The food is set up behind glass, as you walk thought the line you can point or tell them what you would like. Food is always fresh and high quality. Great selection of salads and cooked orders. Great market. Great deserts. Staff is always great and they're all genuinely happy to be there. I've been going here for years and always look forward to my next Neomonde lunch. Everything is top notch here. The food, the help, the atmosphere. Only reason I didn't give it 5 stars was because you can spend more time in line waiting to pay than you have time to eat. Great food. Terrible layout and organization. Long lines, everybody is in each other's way. Cashiers work at snails pace. Would have liked to get dessert but couldn't stomach standing in line for 20 minutes again. Excellent Syrian/Mediterranean food! Everything is super fresh and very tasty. You'll love it. Get directions as it's not quite off the main road. The food here never disappoints! Fresh Mediterranean in a clean atmosphere and appropriate service. I hope to make this a more regular stop for food from now on! Went here for the first time today and loved it! There were so many vegan options, and well marked too. It made eating here easy and enjoyable. Definitely coming back. Fresh, flavorful salads, sides, wraps, and dishes. Perfect for a vegetarian as well as omnivore. Welcoming atmosphere and staff. Intriguing music. Beguiling tastes. Quickly prepared food and a lot of food for the price. A half pita is a really big sandwich! Delicious, fresh, and satisfying. I'd definitely visit this place should I be in the area again. Love Neomonde. The food is super fresh and authentic. Half is the restaurant and half is the middle eastern market. I've never had anything I didn't like. Make sure to ask for your free pita if they forget to give it to you. Great for a quick light meal. It can be intimidating your first time because your order at the counter like a deli. The flavors are always great but there always seems to be some issue with service. This time the person preparing my meal apparently forgot it in the oven. When the server brought my companion’s meal we inquired about mine, concerned because he was taking our table number. Then we waited. And watched. And my food didn’t come. I encouraged my companion to eat his meal, no reason to let it sit. When his was done we kept watching the server who stopped back by to ask if we were waiting on something. Reminded him of the other half of our order. He went to figure out what was going on, came back and apologized, said it was left in the oven and it burned. He said a manager would be out. We were ready to just have the cost refunded and get going, but that apparently wasn’t an option. The manager delivered the meal telling us how they made it ‘fresh’ for me, as if there was any other option. No apology from the manager, no offer of explanation, no concern that we came for a shared meal and instead got to watch each other eat. This seems to be a pattern, the last three times we have had a meal here something goes wrong - the counter staff doesn’t provide the things that come with the meal like Baklava or pitas, and the waiter is confused when we ask about it. Or we aren’t given soda cups then argued with when we ask for them even though we paid for them. We eat here because it is the only non-chain near the arboretum but each time that mistakes are made that make the meal unpleasant, the mistakes are handled with a blast attitude. Amazing food and side market. The whole falafel sandwich is the lunch go-to but many of their options for the pick 3 or pick 4 plates are incredible. This place gets poppin' for lunch during the week and there is a good bit of outdoor seating (which is able to be sealed in the rain). Parking isn't the best but there is a long street in front of it where you can park in addition to the lot. One of my favorite lunch spots for the work week. Great place with authentic tasting Mediterranean cuisine. Prices were very reasonable and the location was very clean too. It’s hard to find a good all lamb kebab and this place did not disappoint. Everything looked amazing and I liked the little Middle East market on the side to shop at on the way out. Popular place I have eaten at on and off for years. During my last visit the food quality did not seem high. In particular the chicken schwarma was not very good and I would not recommend. Overall I prefer Jasmine another local Mediterranean chain. Terrific selection of authentic Mediterranean food. Great bakery too! Casual indoor and outdoor dining with excellent service! A favorite local establishment. Great food and service. Its a great place to go with friends, esp vegetarians. The cafeteria-style eliminates having to split the check. Only negative, it's always busy. This place is the best! They have the best hummus, pita, you name it. Reasonable prices, extremely friendly staff and clean spot to eat inside or take out. I live about 20 minutes away and have other options for Mediterranean markets, but I choose to go here because they are the best. I love this place! Every time I go here the food is fresh and tastes fantastic. The pita pocket special is a great value in my opinion. I always have a hard time choosing my sides for it because they're all so good! Service is almost always quick and really friendly. Highly recommended! My wife’s friend recommended this spot and I’m so glad she did. Everything was fresh. I would recommend this becomes a continual spot because you can’t enjoy it all with only one visit. I would heavily frequent Neomonde if only I lived in Raleigh. I highly recommend this place to eat. The lines are long, but the food is more than worth the wait. I love the selection of fresh salads and meal options. It make me hungry just thinking about all the options. The location is awesome, it is my go-to meal option when I am in Raleigh. I highly recommend this to anyone looking for a healthy and fresh meal option. They have a wide selection and the quality is amazing. The food and atmosphere are both amazing. 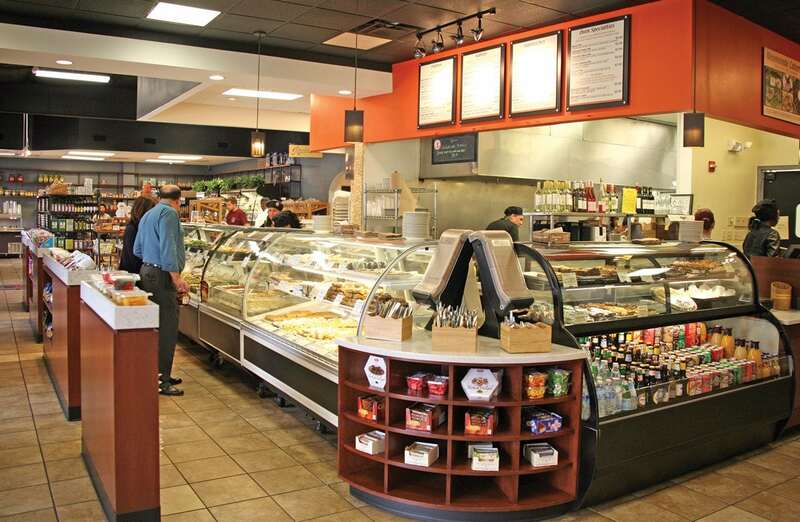 The staff are extremely helpful and the selection of freshly prepared foods and groceries are both extensive. A wonderful place to get a good meal in a family- and business-friendly atmosphere. Visited twice for dinner while on a business trip. Good is absolutely wonderful. I tried different kabobs and both turned out well. There's a large choice of sides to choose from. They also have a small grocery store on the side. It looks like it gets crowded in the evening. This is the best Mediterranean restaurant in the Triangle. The combination of fresh salads, pitas and sandwiches means a huge variety in what you can eat. On top of that the desserts are impeccable and the different drinks means it's possible to have a different dish every time you visit. Go here. Nice family business, very clean. Great food, nice small selection of groceries. Spices used to be really cheap here, but no more. Food is expensive, prices seem to go up each time I visit. But is still one of the best places in town to eat. Very busy at lunch. A little hard to find, but oh so worth it!!! The staff is super nice, the little store is well done & the food is EXCELLENT! Highly recommend. Great counter-service restaurant with Mediterranean flare. Great food with so many choices. Sweet Potatoes!!! I very much appreciated that I could know what ingredients dishes contain as I have food limitations. Everything was very clean, comfortable and well-organized. Staff was helpful and efficient. I love Neomonde! Everything is good all the time. Everything is always fresh and delicious. Lunch can be a bit crazy busy, get in early or later to not have to wait. That being said, the wait usually isn't bad. I just got some desserts here, but they were amazing. The baklava choices had great flavor combinations. The restaurant itself has a really unique atmosphere, and the prices are nothing to complain about. If you have the chance, you should definitely check it out! A fun Middle Eastern restaurant & grocery to explore. The grocery section has for sale many items used in Middle Eastern recipes that are not easy to find in chain groceries and at quite reasonable prices. The deli restaurant section is always fun to lunch at because it has a wealth of beautifully prepared dishes to choose from. There is even a nice patio to eat out on after you have purchased your meal. The only shortcoming for me personally is that the checkout/paying process can bog down at times and be somewhat chaotic. And a word about lunch on Fridays: it can be a mob scene at times. So I am not a fan of Mediterranean food at all, but I went with some friends to give it another go and while I could tell that the food was of a high quality and very well made, it still just wasn't within my personal preferce. The pita bread that I did end up eating was absolutely amazing. It was fresh and wonderfully cooked. The staff was also extraordinarily friendly and really made going worthwhile, despite not really enjoying the type of food that they serve. Great place and great food. Located in a calm area in the city, the place offers both, outdoor seating and indoor seating. Tried the make your own meal thing and was not disappointed. The desserts are great too. Would highly recommend the Carrot cake, which was better than most cakes I have had at other places. Would definitely visit again! Best place to eat in Raleigh no matter what your dietary needs. My dad took me here years ago, and now I go every time I am in the area. I took 2 friend here last January when we were attending a conference at NC State, they both loved it and were glad we skipped out on the banquet food! The Mediterranean grocery in the back has all the foods I loved growing up. Thank you so much. This always is a quick solid go to choice for us, even though we don't live right around the corner anymore it still has a convenient location. We also like that they have a "market" there where you can pick up cooking items. If during peak times I would order ahead for faster pickup! Outdoor dining is roomy & perfect with kids. Ample parking on the road in addition to parking lot. Plenty of menu choices and mix/match. Great food and store. Nice covered patio to enjoy. Always has cold and hot items. Be sure to get hummus to go w olive oil and olives. Love this place! Great food and atmosphere! My co workers and I eat here often, I love the assortment of Baklava they have, it's the best in town. What a wonderful surprise! From the lovely cafe atmosphere to the fantastic staff, Neomonde Raleigh works to please. The food is positively scrumptious! Everything is fresh and delicately seasoned. Prices are reasonable and we will be returning soon. It was an amazing experience. They had an amazing deli with all types of Mediterranean foods to buy separately from the foods that they had for their restaurant. They also had all sorts of alcoholic drinks and whatnot which seemed very intriguing. All in all the place was just amazing. Nice break from fast food. The lamb kafta is some of the best around Raleigh for a reasonable price. Come here often. Also great vegetarian choices, like most Mediterranean places. Being intimately familiar with the Lebanese culture, I'd say this place is legit. It's appropriately priced, and a healthy alternative to your burger/fri joint. As far as I'm concerned, Mediterranean/Lebanese food easily rivals Mexican fare as something to be craved. It was a nice secret, but based on the lunch time traffic of this place, the cat seems to have escaped the cheese clothed sac. Great healthy food. Very Mediterranean, Lebanese. Sam, the owner, is a most friendly person and always willing to please. Lots of goodies to choose from. The deserts are excellent. Highly recommend giving it a try. I was eating here long before I became vegan but now that I am, I still have plenty of options. The food is fresh, delicious and not the same old same old. If you want a change and something for everyone this is your place. The food here is great! Hot & cold Mediterranean food served deli style (dine in or to go): kebabs, salads, humus, grape leaves, etc. There's also a wide variety of homemade pastries, olive bar, & a pantry section to facilitate your Mediterranean cooking at home. Has an indoor restaurant area & covered patio seating. Family friendly! Lots of great gift ideas for foodie friends! Amazing food! So many interesting options and a wide selection of authentic, Med foods and products for the pantry. Definitely coming back in the future. Wonderful selection of middle eastern sides and salads! The steak kabobs were tender and flavorful! Small grocery section with fresh pitas. Scrumptious, authentic Mediterranean food. Fast, friendly service. Restaurant, bakery and more. My new go to place in Raleigh for Greek meal before Hurricanes games. This is the best Mediterranean food in Raleigh. They get really busy at lunch time. You should definitely try to eat early or later to miss the lunch crowd. They also have a small grocery store. Is your looking for the tough to find ingredient when making something at home, they probably have it. If I could give more stars I would. Delicious Mediterranean (Lebanese) food served cafeteria style. A landmark of Raleigh - always a line but it moves quickly. Be thankful for GPS since this place is tucked away in a non-descript location. Enjoy! Busy but fast (cafeteria-style). The food is amazing and healthy enough that a baklava for dessert seems warranted. The desserts are also wonderful. A gem. Tasty Mediterranean food. Kebabs, salads, sides, hummus. Everything we had was good. Prices were reasonable and service was fast. You order in a line and they bring it out to your table. If anything, the place was a bit too popular so it was a little on the crowded side. Definitely a decent meal. Great food experience and friendly staff. Very clean. It's definitely on my most favs list. A lot of vegetarian options. I overheard a male manager on the phone he was dealing with a very upset customer who got the wrong order, he genuinely cared and was doing everything to make it right. Very impressive. Fresh, warm pita bread drew me in and the excellent selection of salads has kept me coming. The pick-3 plate is my favorite, for example, chicken salad, cabbage salad and jalapeno hummus with olive oil and olives. The desserts are tempting, and pistachio baklava is my favorite. I love taking friends here; it's always a great first-time experience. Fantastic cuisine. My absolute favorite is the beef and lamb shawarma. Always fresh ingredients here. I have never had a guest visiting me disappointed when we come here to eat. Vegans and omnivores will like this place. Haven't been here in about a year. Remodeled, food is still fantastic. Very busy at lunch but staff is friendly and very efficient. Will come again. I ate at this restaurant yesterday and I was very impressed. The food was excellent, the portions fair/generous, everything was fresh and tasty. I was so please I bought more food to go so I could have more the next few days. The staff is personable and the owner friendly and loves his customers. Good food, I enjoy eating outside the best. I frequent the grocery section occasionally but find it overpriced. I keep coming back because of the convenience of getting groceries and the deli. Overall it is handy for my needs. Tonight was our first time visiting this establishment. The food was very good, although my husband thinks the portions could be a little bigger. I love that you can see the dishes as your making your selection. The desserts were beautiful and so yummy! The staff was super friendly. We really enjoyed our visit and will be back! Rice pudding is wonderful. Steak is hit or miss... sometimes it's delicious and sometimes it's a bit on the dry side. All of the sides I"ve tried have been great (chickpea salad, black bean salad both excellent). Service is a tad slower than I'd like but they're always really busy and the food I get is cooked to order I think, so the service time is understandable. The concept is really great; the specialty food store/restaurant. I was disappointed with the baklava however. One should be able to find great baklava I n such a place. The hummus, and the pitas were good but I was not impressed by the people working there as they were not friendly at all. Neomonde is an experience every time. The food is wonderful and super fresh every time. Ordering at places like this always makes me a little nervous but the staff are always so patient and helpful that I always come away with a smile and a full belly. One of my favorite spots in Raleigh! They serve fresh Lebanese style Mediterranean food that is all very delicious. There is also an associated grocery with an assortment of Mediterranean items. My favorites include the Mujadarrah, Butternut Squash and chickpea salad, and of course the pistachio baklava ? (Edited to add description) What's NOT to love? The warm, fresh little basket of pita is something I daydream about. All the food is terrific. Dang, now I'm hungry. Delicious Mediterranean food in a huge, beautiful restaurant, with super fast and friendly service. The food is the star of the show here: it's absolutely delicious, the portions are large, prices are low, and it comes out lighting fast. We loved all 8 items we tried. The desserts are also amazing, especially the cashew baklava! There is a ton of seating, including an outdoor patio. You'll also find a Mediterranean grocery store attached to the restaurant. Fantastic! 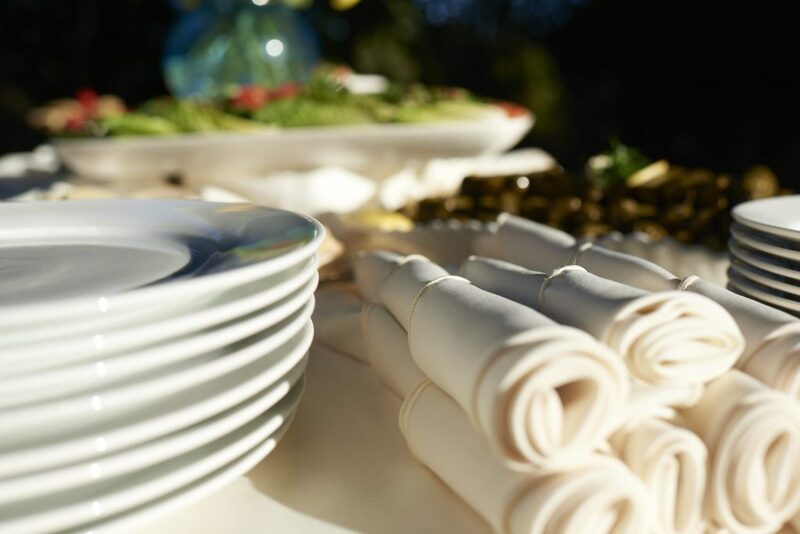 Are you looking for the freshest, healthiest catering options that Raleigh has to offer? We cater a wide range of events. From business lunch & corporate events to weddings. We have traditional Mediterranean food, but also can accommodate vegan & vegetarian diets as well. 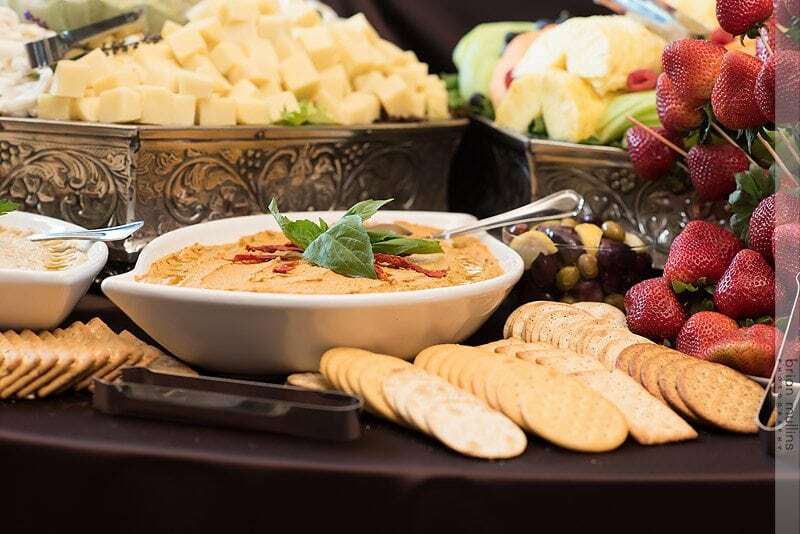 Our catering experts want to hear from you, we can help you make sure that the catering for your event is fresh and healthy and that all of your guests are delighted.